Very Good. 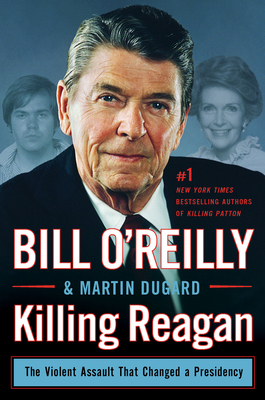 Killing Reagan: The Violent Assault That Changed a Presidency (Bill O'Reilly's Killing) by Dugard, Martin, 2015-09-22. Sewn binding. Cloth over boards. With dust jacket. 320 p. Contains: Maps. Bill O'Reilly's Killing. New. 1627792414 Ships from Tennessee, usually the same or next day. This book does a great job of reuniting readers with the 1980's and beyond with regard to the presidency of Ronald Reagan. It also shows the human side to a man that has been known to many as a legend. In some respects he actually lived up to legendary status. In other respects he was as human and frail as the rest of us.